Natabua High School sprinter Nemani Mudrelagi will be one of the key athletes for the school as they aim to win the Boys title at the Coca-Cola Games for the first time since 2017. Mudrelagi won the Senior Boys 100 and 200 metres title at the Lautoka/Yasawa zone last month and was also awarded the Best Male Athlete title. He will be making his debut in the Senior grade this year. Mudrelagi won the Intermediate Boys 200 metres title last year at the Coke Games while he had to settle for the silver medal in the 100 metres race. He is expected to face stiff competition from Ratu Kadavulevu Schools’ Kolinio Radrudru who will also make his debut in the Senior grade. Radrudru won the 100 and 200 metres title in the Tailevu Zone. Radrudru won the Intermediate Boys 100 metres title at last years game where he beat Mudrelagi while Mudrelagi got the better of Radrudru in the 200 metres race. 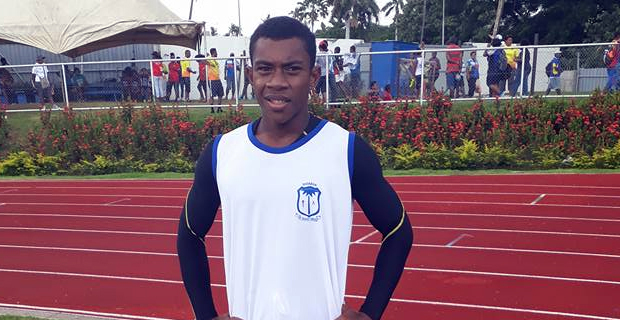 Another top contender for the Blue Ribbon event is Marist’s Viliame Rekitilako who is the Suva Zone 2 champion in the 100 and 200 metres race. The 2019 Coke Games will be held from next Tuesday to Thursday at the ANZ Stadium.